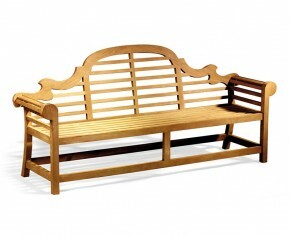 Timeless and tasteful, our teak patio benches will make a stunning addition to any home or public space. Beautifully handcrafted with grade-A teak, these wooden 7ft benches can withstand any weather condition and remain outdoors all year round. 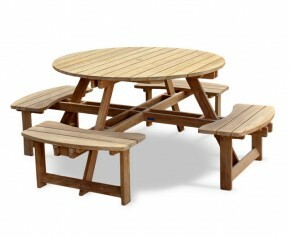 This high quality teak round picnic bench otherwise known as a circular picnic table offers a modern twist to the traditional picnic bench design and would look stylish in any outdoor setting. Hand crafted to the highest spec, this circular picnic table is ideal for summer parties, offering plenty of options for al fresco dining. Inspired by the pre-eminent British architect Sir Edwin Lutyens, this iconic piece of furniture has stood the test of time and in fact remains very much popular today. 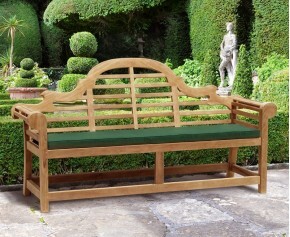 Manufactured using A-grade teak, this Lutyens bench can be left outdoors all year round with minimal maintenance and if left untreated will age gracefully with time. Inspired by the designs of the pre-eminent British architect Sir Edwin Lutyens, this iconic design has stood the test of time and is still very much popular today. Expertly manufactured to the highest spec with intricate detail, this teak Lutyens bench features beautiful scrolling arms and an elaborately raked backrest. 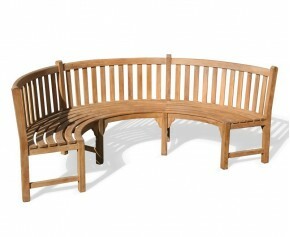 Featuring a graceful sweeping curve and raked back for added comfort, this expertly crafted Henley teak curved garden bench creates a practical and visually pleasing seating solution that is sure to impress your visitors. 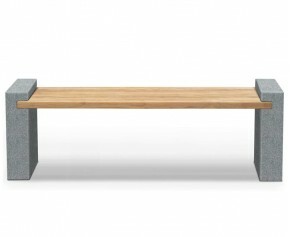 Our 2m benches come in a wide variety of designs. 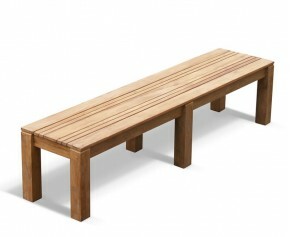 From stylish Lutyens teak patio benches, to a classic Picnic bench, you are sure to find your perfect wooden 7ft benches. 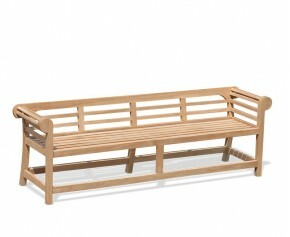 With their classic design, these teak patio benches will compliment any and all styles of garden. Comfortable, elegant and highly durable, our 2m benches will bring you long lasting aesthetic pleasure and use for years to come.